If you blush easily DO NOT BUY THIS BOOK! 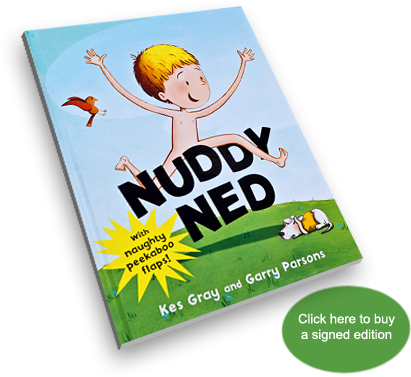 Nuddy Ned is the cheekiest picture book I have ever written. And I would say the funniest. It was inspired by and is dedicated to my son Elliott, who one day got out of the bath and refused to put his clothes on. Instead he put his pants on his head and ran out of the bathroom screaming 'SUPER NAKED MAN!" Yes, it's the first and only streaker book for children. I have caused riots in school assembly halls reading this story.